This pair of binoculars and their imitation leather carry case, belonged to Corporal Mertoun Sidney Mills, Service No. 1278 who was working as a Shop Assistant in Penrith, NSW, before enlisting at the age of 21, in the Australian Infantry Force, 36 Battalion, D Company, on 14 February 1916. Corporal Mills had undertaken training with the Cadets and Citizens Military Force (CMF) prior to embarking from Sydney on board HMAT Beltana on 13 May 1916. He served with the 3rd Trench Mortar Battery in France, and on 12 June 1917 he was enjoying a lunchtime meal with some French women and children when the group was hit by a German shell from a long range gun, killing three of the women and one child, as well as Corporal Mills. He was buried in the Nieppe Communal Cemetery in France next to the child who died in the same incident. Corporal Mills was just 22 years old. There is nothing on the binoculars, or on the carry case, to indicate where or when they were made, and although binoculars have a long history of miliary use, it is unlikely that this pair was issued by the Australian Government because they lack any identifying marks. In addition, they have very limited magnification, so they would have been of little value to soldiers in the trenches or on the battlefields. 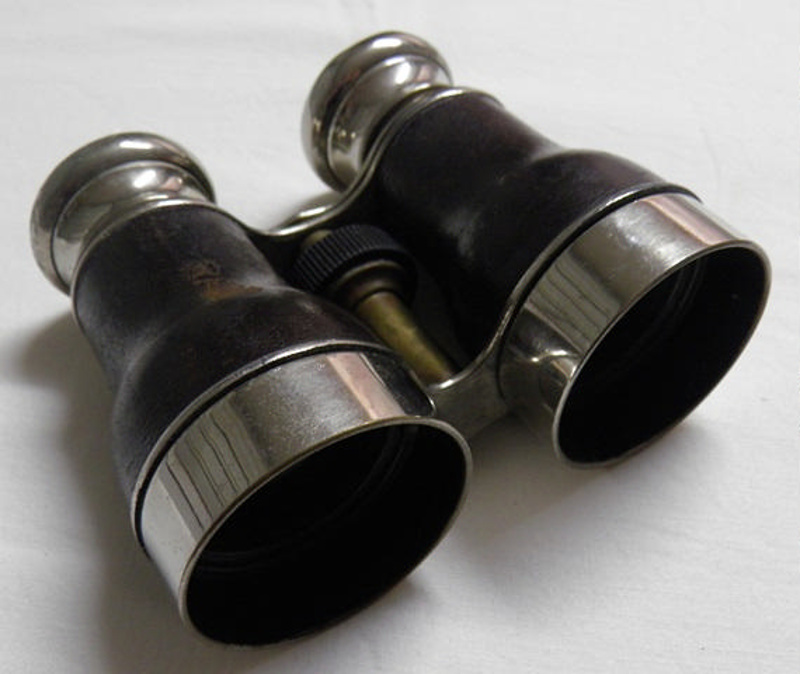 The binoculars are, however, very similar in appearance to those made in France in the early part of the 20th century, and it is thought that they may have been a gift to Corporal Mills from the French family where he was being billeted. He appears to have been a special young man regarded by his mates as “one of the best” and lauded in a lengthy and glowing Obituary in his hometown newspaper, the Nepean Times, as a “heroic young soldier who had been a warm general favourite of the community” and one “who had a self sacrificing spirit and optimistic and uncomplaining disposition”. It is not known how the binoculars came to Australia as they were not listed amongst the personal effects returned to the Mills family after their son’s death. However the 36th Battalion, to which Corporal Mills was attached, was raised at Broadmeadows Camp in Newcastle and the majority of the recruits enlisted following a recruiting drive amongst rifle clubs throughout NSW. Many of these rifle club recruits came from the Port Macquarie area, so it is likely that Corporal Mills was known to, and possibly mates with some of the soldiers from Port Macquarie, several of whom were also killed in France. It is well documented that the bravery and achievements of the Australian soldiers were highly regarded and appreciated by the French people during World War I, and these unpretentious binoculars provide a unique link between the courageous soldier, Corporal Mills, the French women and children who were with him when he died, and an unknown comrade who brought the binoculars back to Port Macquarie.